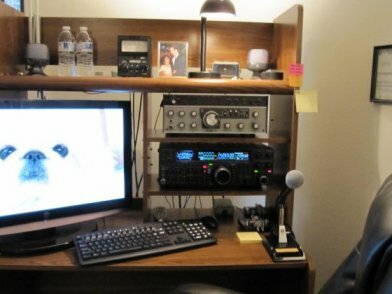 Welcome to the WB8YQJ website. Shown below is the internet assisted main operating position. Using a Yaesu FT2000 with NS Roofing filter and Collins 500hz mechanical filter. Also using AWH Master Commander and N1MM contest software. The location is Carlsbad California USA. We have been operating from this location since 1983, having moved from Northern Ohio. Press F5 if you do not see the red teardrop indicator on the Google map.